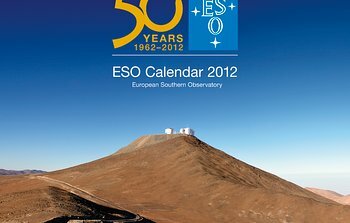 21 December 2011: The European Southern Observatory’s 2012 calendar has been released. 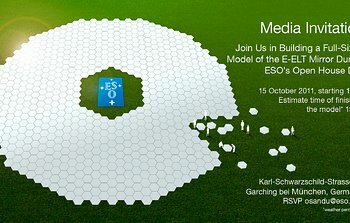 The 2012 edition is dedicated to ESO's 50th anniversary. 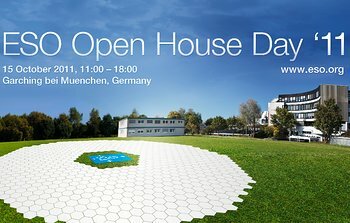 It sports a specially designed ESO logo, and features a timeline of the most important dates in the history of ESO and its front-line telescopes, as well as ESO’s ten most significant scientific discoveries. 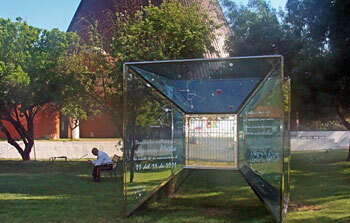 For added convenience, lunar phases throughout the year are also indicated. 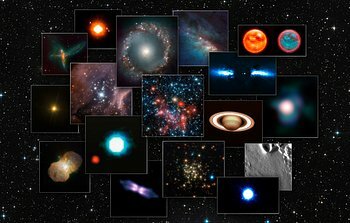 Combining a selection of the most stunning images of astronomical objects from the past year, as well as of ESO’s flagship telescopes, the 2012 calendar is a tribute to ESO’s historical achievements and tradition of innovation acquired over 50 years of experience at the forefront of astronomy. 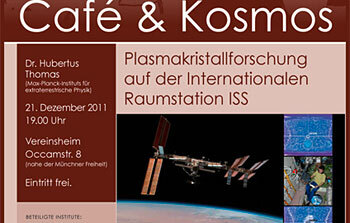 The calendar measures 42 x 42 cm and has 15 pages, with a cardboard back. 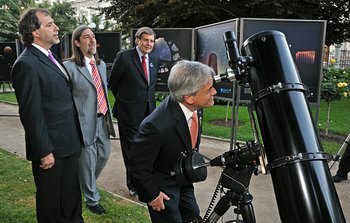 21 December 2011: The Chilean Engineers Association awarded the National Prize 2011 to the European Southern Observatory (ESO), in the category of institutions, for its valuable contribution to engineering development in Chile. 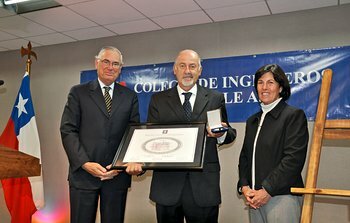 On behalf of ESO, the Representative in Chile, Massimo Tarenghi, received a medal and a diploma during a ceremony held on 11 October 2011. In the category of professional of the year, the prize was awarded to the Chilean engineer Santiago Arias Soto, a global expert on seismic structural design.This prize has been awarded every year since 1992, to the engineer or institution that excels in the construction of complex civil works and contributes to the development of Chile with challenging projects, technological transfer to and from the country, high standards of environmental protection and an active role for Chilean engineering. 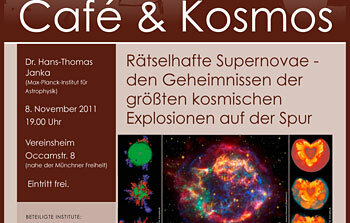 21 December 2011: The newest edition of ESO’s quarterly journal, The Messenger, is now available online. 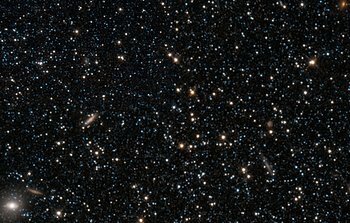 Find out the latest from ESO, with topics ranging from new instruments to the latest discoveries. 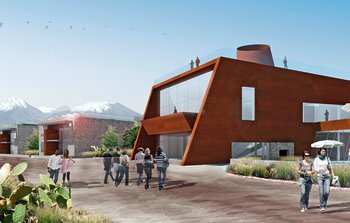 Highlights include: The dramatic story behind the new VLT Survey Telescope (VST) on Paranal, and its 300-megapixel wide-field optical camera, OmegaCAM. 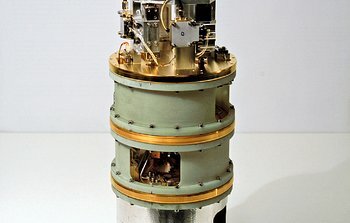 The milestone of four-telescope interferometry with PIONIER for the Very Large Telescope Interferometer. 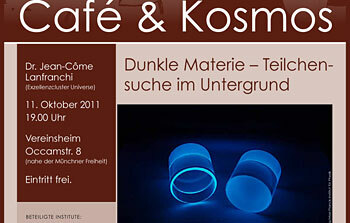 The spectra of extremely metal-poor stars, and the discovery of an extremely primitive star with X-shooter. 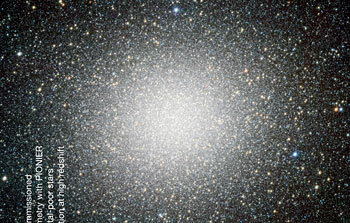 Probing the epoch of reionisation by studying the Ly-alpha luminosity function at high redshift. Download The Messenger in PDF format or visit The Messenger website to subscribe and receive a free printed copy. 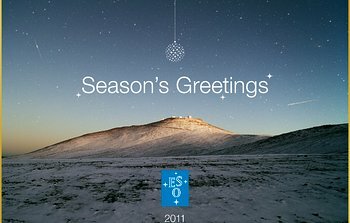 Season’s Greetings from the European Southern Observatory! 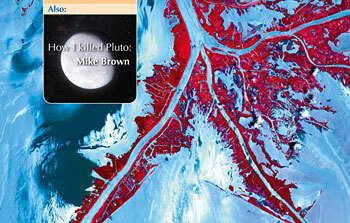 Science in School Issue 21 Out Now!